The internet radio station from Apple is being delayed because of a tiff with Sony. According to "sources close to the situation", Sony/ATV (the world's largest music publisher) couldn't agree a per-song rights fee with Apple. Sony/ATV is said to be seeking a higher rate than the usual fraction of a penny per stream practiced by most internet radio services. The iPad maker is after more flexible licensing than the deals Pandora has signed with record labels. Pandora is currently the largest internet radio service operating in the US. If it comes off, it sounds like a real rival to Pandora, though. Apple's proposed licenses would let anyone play a song more times than Pandora allows, and would point people to the iTunes Store to buy tracks. 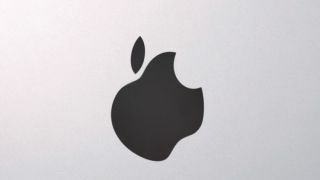 Apple's internet radio station was first reported earlier this month by the Wall Street Journal. It's rumoured to offer an all-you-can-eat service similar to Spotify. It could even be offered free, like Spotify, with adverts supplied by Apple's iAd platform. iAd is the service Apple uses to make adverts pop up in apps, instead of charging us for the apps themselves. It's thought the radio station will choose tunes for you, based on your taste. This could help mask the fact some artists aren't signed up to iTunes, and so their songs aren't available.